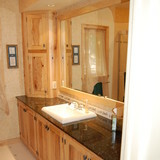 We are a full service Home Improvement Company and Minnkota window distributor. 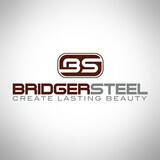 We specialize in Roofing, Siding, Windows, Decks, and Seamless Gutters. 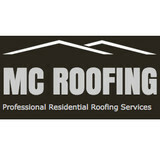 At MC Roofing it is our goal to provide our clients quality, not only in our homes, but in our staff and service. With nearly 30 years of building experience we are constantly moving forward to provide our clients with cutting edge products, quality construction and unmatched service. At Beartooth Exteriors, we pride ourselves on providing exceptional workmanship along with unrivaled customer service. Our professionals offer flawless roofing repair and installation, as well as multiple other home services like window repair and replacement, kitchen and bath remodeling, and even gutter and siding repair and installation. When you need services for your home, call the experts at (307) 224-4912 to provide comprehensive service for any project. It’s not often a company can say that they have been around for more than 40 years and are still a go-to trusted source for top of the line work in their industry. 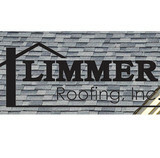 However, that is exactly the case when it comes to Limmer Roofing. We are proud to say that we have been serving residents of the Casper, WY, area since 1974. We like to think that our secret to success and longevity came with the quick realization that a job done right starts and ends with a focus on the customer. That’s why either TJ or Terry Limmer make sure they are present on every single job to oversee the project and answer any questions you may have. From start to finish, our emphasis on quality is evident. We work efficiently, making adjustments as we go to save you time and money. Call us today and let us show you how we earned our “best in town” reputation! Roofs and gutters are two home elements that, when they do their job, go unnoticed. But when they malfunction, they make their presence known in a hurry — that’s where knowing a good Casper roofer comes in handy. Hire the right roofing company in Casper, WY to install, repair and maintain your roof and gutters, and you’ll ensure that these essentials perform at their peak. What do roofing companies in Casper, WY do? Your Casper, WY roofing contractor can install a new roof or repair an old one, as well as repair and replace gutters. Good roofers in Casper, WY should be able to promptly inspect roofs and gutters to assess damage after a natural disaster or other event, and give you an estimate for the necessary roof repair immediately. Some Casper roofing companies specialize in specific types of roofs, such as tile or metal, so make sure the one you are interested in works with the materials you have or desire. Find a Casper roofer on Houzz. Narrow your search in the Professionals section of the website to roofing companies in Casper, WY. If you’re planning a large-scale project, find other professionals on Houzz who can help get the job done. Here are some related professionals and vendors to complement the work of roofing & gutters: General Contractors, Specialty Contractors, Siding & Exteriors, Door Sales & Installation, Garage Door Sales & Installation.